The loss of a loved one can be difficult to cope with. It becomes even more so when this person is taken away from you before their time, often as a result of someone’s negligence or wrongdoing. In such cases, you have the right to file a wrongful deathlawsuit and receive some closure as well as financial compensation to which you and your family are entitled. A wrongful death is when a person is killed due to either the negligence or misconduct of another person or organization. Those who depended financially on the deceased may be entitled to monetary damages. Emergency Room Medical Malpractice: Surgeons can perform surgical errors while other hospital personnel could misdiagnose a health condition or discharge a patient prematurely. Workplace Accident: Certain work environments can pose serious risks to employees should regulations not be adhered to. Workplace accidents, such as explosions, burns, equipment accidents, and falls cause a considerable number ofdeaths every year. If an employee is killed during work hours due to an employer’s negligence or disregard for the safety of their employees, a wrongful death lawsuit can be filed against the employer. Typically, families are rewarded with compensatory damages by a judge or jury. These damages cover the medical care, funeral and burial as well aslost wages and emotional distress and any other expenses the family had as a direct result of the wrongful death. However, should the other party’s actions been intentional or particularly negligent, a jury or judge can impose punitive damages. These fees, imposed in addition to compensatory damages, are intended to discourage similar acts in the future. Althoughfinancial compensation will never make up for the loss of a loved one, being financially secure in the future and having the peace of mind that the responsible parties are being brought to justice can provide a sense of closure and security to the victim’s surviving kin. As you grieve, a wrongful death lawsuit is unlikely to be your highest priority, however, wrongful death cases must be filed within a specific time period or you risk losing your right to certainkinds of financial compensation. 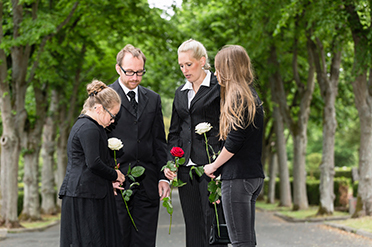 If you have lost a loved one due to any of the above or other reckless or willful actions of another party, you should consider hiring a wrongful death lawyer to help ensure that your family is lawfully compensated for your loss. Even if the offending party is not charged with a crime, civil lawsuits can still hold them responsible for their actions. 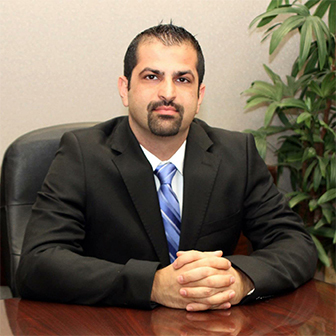 The Law Offices of Michael Rabban have the experience needed to offer you the best chance of obtaining a fair and just case resolution, our attorneys are experienced and knowledgeable and will stand by your side with legal counsel and advice.